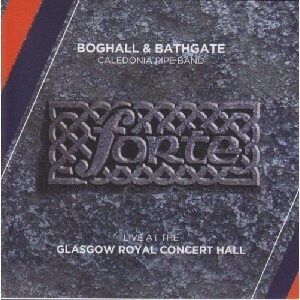 Forte (Live from The Glasgow Royal Concert Hall), The Scottish Music Shop - The Best Selection of Scottish CDs and Scottish DVDs. The annual concert prior to the World Pipe Band Championship, in 2012. The Boghall are coming back into the winners circle with regular championship wins & top placings so maybe their time for 'the Big One' is nearing for 2013 / 2014!